We are either destroying South Sudan through physical corruption or through mental, ideological corruption. But in South Sudan, like anywhere else in the western world, the youth have been politicized and tribalized with in-your-face, willful ignorance. This is a simple, sad fact. Unfortunately, this simple fact affects what is said or written, and how sociopolitical issues are rationalized. Essentially, there's no neutral party, or a party acknowledged to be neutral, which can sieve issues into helpful epistemes. Everyone is cynically perceived to be a self-interested mind baptized with dark, undesired mole of otherness. And that's why I agree with Fanon that one cannot waste one's time telling the younger generation that 'hunger with dignity is preferable to bread eaten in slavery.' They've made their minds and just don't care! When we follow (or laud) corrupt leaders while they send South Sudan into free-fall, then we are no better than slaves. And the sadness of this reality is heightened when one thinks of President Hoover's words that it's the young that fight and die after old folks declare war. South Sudanese youth in the diaspora isn't the one to go to war and die so they'd take Hoover's words for granted. But Nietzsche captures South Sudanese tribo-political realities very well, that "the surest way to corrupt a youth is to instruct him to hold in higher esteem those who think alike than those who think differently.” This is not only destroying South Sudan now, it's threatening to destroy her future. Our leaders are building a nation of a single opinion, a horde of zombified youth. Well, I could console myself by looking at the American politics and how childish and divisive it still is after more than 200 years of democratic enterprise (however dirty). One could therefore say that South Sudan has only been independent for about 5 years so South Sudan have not digested the nuances and intricacies of democracy. 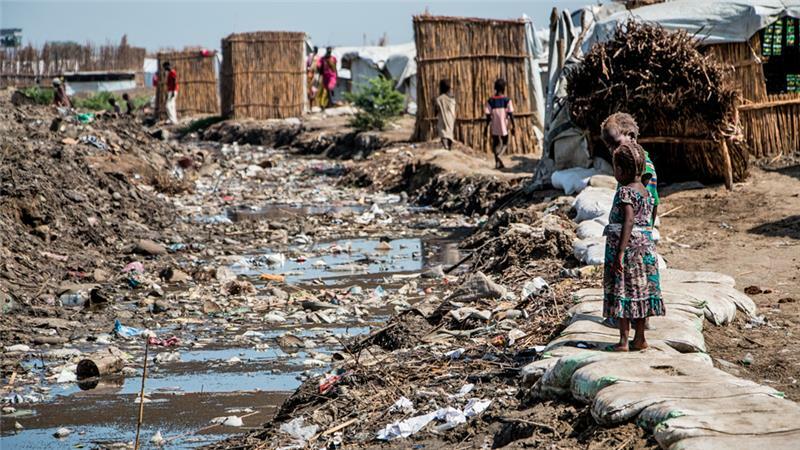 'We' therefore need not be too pessimistic about South Sudan. If Americans can elect a child-minded, thin-skinned fellow like Trump and spew unshamed racial division, then one should perhaps excuse tribalist South Sudanese. Why not! Now, the above stands assume many things. For instance, that South Sudanese need time and they'll be prosperous; and that we are okay with our bad deeds as long as others have their own bad deeds, or that divisive politics is something that doesn't disappear even in two centuries, not just 5 years. But is this true though? While South Sudanese can be excused given the newness of our political realities and the rudimentary nature of our institutions, one needs to remember that a way to goodness (prosperity) needs to be apparent, clear. But all we see now in South Sudan are sad realities on express lanes. They have passed the precipice and are off into the doomsday abyss. Besides, consoling ourselves with the bad side of the American realities is to ignore the long tradition of American political stability and strength of its institution. America can easily correct her few bad needs (not putting into consideration her morbid racial realities). However, what we have in South Sudan is a whole reality of bad deeds we need to make good. We should only pride in our good deeds not console ourselves on others' bad deeds. So what's the way forward? The way forward is for the youth to part way with the sordid culture of our contemporary politicians and chart our own way forward. This is absolutely crucial, but it's understandably utopian given our current realities. The youth are either naive, corrupt or myopic. It's becoming almost impossible to extricate themselves from their destructive uncles. "Each generation must out of relative obscurity discover its mission, fulfill it, or betray it," wrote Frantz Fanon in The Wretched of the Earth. Sadly, it looks like we are betraying our 'mission' instead of fulfilling it. We've lost sight of, or have not discovered, the difference between corrective and malicious attitudes. We've become lost in the myopic darkness of our ancestral pride. I'm not sure if we don't know this or we just don't care! The future of South Sudan, undeniably, lies in a united youthful voice in the country; unfortunately, this 'voice' is only open and audible when it wants to praise an uncle or when it wants something to swallow. The older generation is destroying the future of our children but some of us are either joining them in such a destruction, or they are cheering them on. Until the youth charts its own, united course, it'll continue to betray its South Sudanese Fanonian mission and continue in the same destructive trajectory. 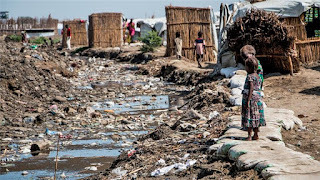 Can we stop this South Sudan?